Wed., 8 Jan. - Wed., 26 Feb.
Wed., 15 Jan. - Wed., 4 Mar. Mon., 14 Oct. - Tue., 19 Nov.
Wed., 26 Feb. - Sun., 8 Mar. Tue., 10 Dec. - Wed., 8 Jan. Mon., 3 Feb. - Sat., 22 Feb. Tue., 10 Dec. - Tue., 7 Jan.
Wed., 8 Jan. - Wed., 29 Jan. Thu., 16 Jan. - Wed., 26 Feb. Thu., 2 Jan. - Sun., 19 Jan. Mon., 5 Aug. - Tue., 3 Sep.
Wed., 22 Jan. - Wed., 19 Feb. Sat., 30 Nov. - Tue., 31 Dec. Tue., 6 Aug. - Fri., 6 Sep. Sun., 4 Aug. - Wed., 4 Sep. Mon., 5 Aug. - Wed., 4 Sep. Thu., 5 Sep. - Sat., 21 Sep. 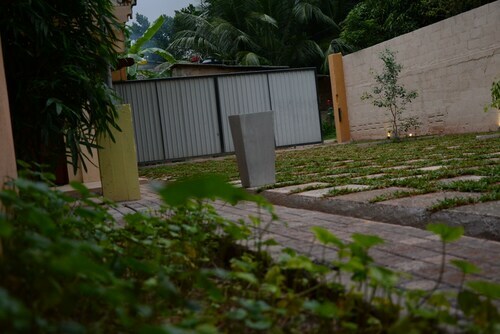 Sat., 3 Aug. - Mon., 2 Sep.
See all 452 properties in Bandaranaike Intl. 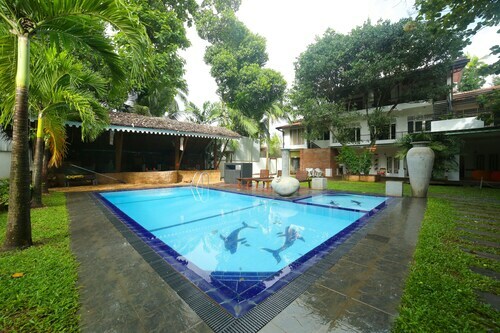 Located near the airport, this family-friendly hotel is within 9 mi (15 km) of Angurukaramulla Temple, Negombo Fish Market, and Negombo Beach. 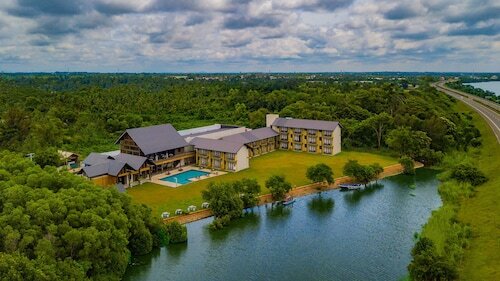 Situated in Seeduwa - Katunayake, this hotel is within 9 mi (15 km) of Negombo District General Hospital, Negombo Beach, and Maris Stella College. Angurukaramulla Temple and St.Mary's Church are also within 9 mi (15 km). Situated near the airport, this hotel is within 9 mi (15 km) of Angurukaramulla Temple, St.Mary's Church, and Negombo Fish Market. St. Sebastian's Church and Negombo Beach are also within 9 mi (15 km). 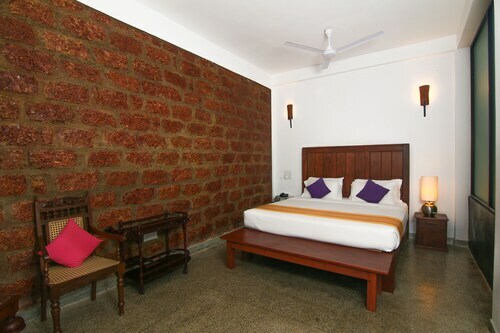 Situated in Seeduwa - Katunayake, this hotel is within 6 mi (10 km) of Angurukaramulla Temple, Maris Stella College, and Negombo District General Hospital. Negombo Beach and St.Mary's Church are also within 9 mi (15 km). 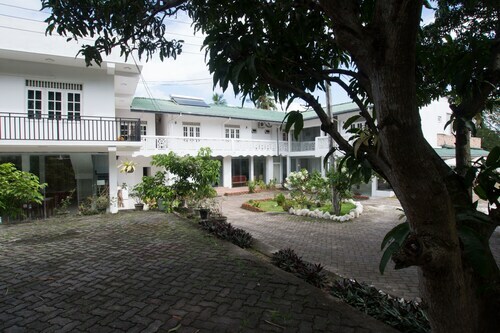 Situated on the Strip, this guesthouse is within 6 mi (10 km) of Angurukaramulla Temple, Negombo District General Hospital, and Maris Stella College. Negombo Beach and St.Mary's Church are also within 9 mi (15 km). 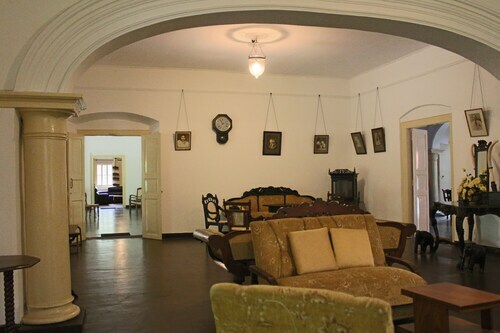 Set in Seeduwa - Katunayake, this family-friendly hostel is within 6 mi (10 km) of Angurukaramulla Temple, Maris Stella College, and St.Mary's Church. Negombo Beach and Negombo Fish Market are also within 9 mi (15 km). Situated in Seeduwa - Katunayake, this hotel is within 9 mi (15 km) of Angurukaramulla Temple, Negombo Fish Market, and Ave Maria Convent. St. Sebastian's Church and Negombo Beach are also within 9 mi (15 km). Question : What is the cheapest date to fly to Colombo? Answer : As of Apr 22nd, the best day for deals to Colombo (CMB) is May 23rd. A ticket for this flight will run you around $1,218, which is 45% less than the average price to book the same route. Answer : The cheapest day to fly from Montreal to Colombo is on Thursday. So, if you want to save a bit of money on your next business trip look for flights on Thursday. Question : What is the cheapest airline flying from Montreal to Colombo? Answer : KLM strives to keep costs low for their passengers over the next three months. 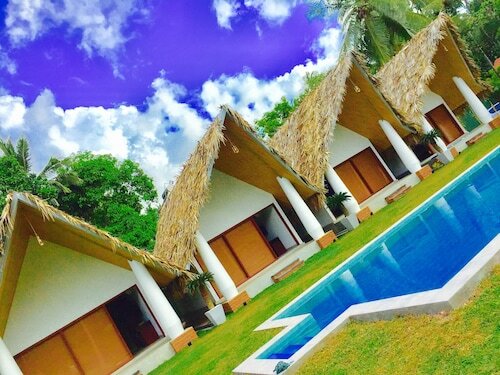 Bookings are being made at just $1,218, which is a bargain when compared to the more expensive bookings of $6,997. Question : How much is a plane ticket to Colombo (CMB) from Montreal (YUL)? Answer : Cost can range anywhere from $1,218 to $6,997, prices for YUL to CMB do fluctuate much more than most routes from Canada. Don't forget, you can save by booking well in advance. Answer : You sure can and you may save yourself some money by changing when you take off. The lowest-cost day to fly in May is Thursday. Flexibility is key when booking travel plans in order to keep costs down. Question : How long do most people stay in Colombo? Answer : Of course, you are not most people, but if you were, you'd stay about 34 days.